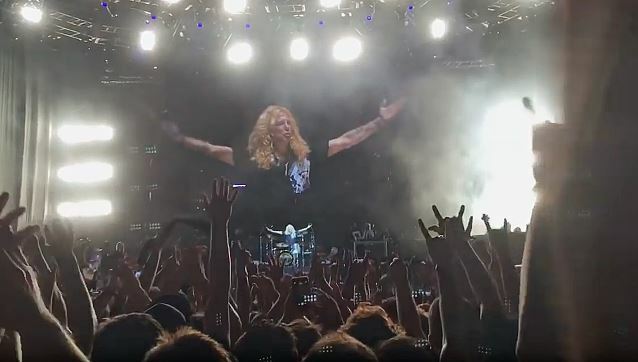 Steven Adler reunited with Guns N’ Roses to perform “Out Ta Get Me” at River Plate Stadium in Buenos Aires, Argentina on November 4 and video from the show has surfaced. The drummer previously regrouped with Axl Rose, Slash and Duff McKagan three times on the Not In This Lifetime tour to play the “Appetite For Destruction” track and “My Michelle” from the album with his former bandmates in Cincinnati on July 6, Nashville on July 9 and Dodger Stadium on August 19. Adler was fired from Guns N’ Roses for excessive drug use in 1990, and has long lobbied for a full reunion of the group’s “classic” lineup. The first of two weekend shows at River Plate Stadium is part of Guns N' Roses' month-long run of dates across South America.